The EcoTEC Pro combi gas boiler comes in the output of 30kW and has an efficiency rating of 89.3% and band rating A for both heat and hot water. It’s perfect for homes with 2-4 bedrooms and 1-2 bathrooms. 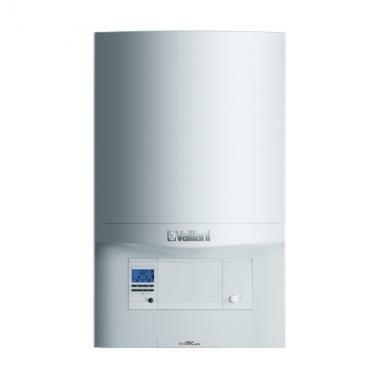 It comes with removable side panels and a push-fit flue system which combined with the fact that it’s a compact boiler with its size of just 720mm x 440mm x 335mm gives you flexibility over where you can place it. The ecotec pro has been accredited by Which best buy for how quiet it is. It comes with a fully modulating low NOx burner and fan as well as a built in two stage frost protection to make sure there is the best performance all year round. It also features aquaCOMFORT to make sure you have hot water delivered fast, as and when you need it. The boiler has a wide modulation range of up to 1:4 to ensure low energy consumption as well as keeping it within maximum efficiency. It comes with a 5 year guarantee and is also available in 24kW and 28kW outputs.